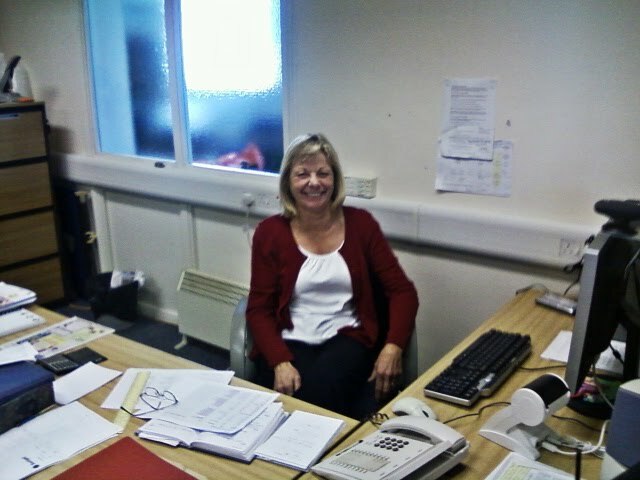 At the front desk at Chilbolton Observatory is Jan Lass. Now, Jan is just great; she is the friendly smile whenever our visitors or colleagues arrive at the site and she ensures that everything remains organised and efficient. Jan has been instrumental in sorting out some of the important contracts that were placed for the LOFAR project and we have only managed to get this far because of her work behind the scenes. Caption: Many thanks Jan, we really appreciate all you have done for the LOFAR Chilbolton project!